Below is an image of the new format for conditions in Flow. Look at the no code control we have here with real conditional logic. What in improvement and one I am sure the community and users will embrace overall. Well done to the Flow Team, one of several great improvements I am seeing on my Twitter time line just now. 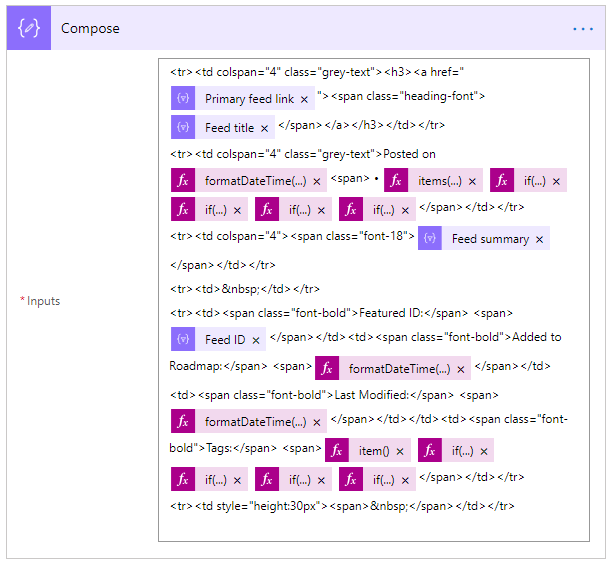 In this post, we will once again reference back to part 8 – Call O365 Roadmap Web Service Weekly Digest where we have sent Microsoft 365 Roadmap updates via email. The email body contains some interesting expressions and use of several nested functions using WDL, Workflow Definition Language. A full reference on WDL can be found at this link. Whether or not one is better than another is elementary in this post. I am going to show you the changes I had made in order to present the email in this way. Back in part 8 – Call O365 Roadmap Web Service Weekly Digest you will see there is a Filter Array that I left alone at that time. 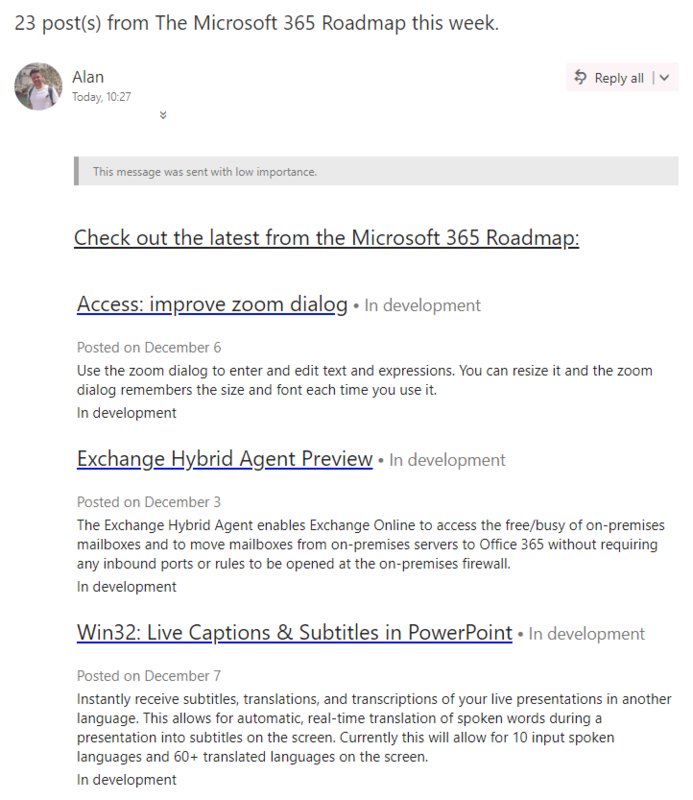 This is because the scope of the blog post was to get a weekly digest of posts made by the Microsoft 365 Roadmap. The expression within the Filter Array get's you the last 7 days of updates and does no more. This is great, unless of course you have no need to be viewing a specific category such as Windows or O365. Maybe you are an Office 365 Admin and would like to streamline the output by only sending those with category of O365. Or maybe you need to see all Security & Compliance updates along with O365 and the rest, so you would need to omit posts with category Windows Desktop. Here are steps that you can take to modify the above Filter Array and why. The Microsoft 365 Roadmap can be an invaluable source of information at times, although staying on top of the hundreds and hundreds of information it has to offer can be overwhelming. 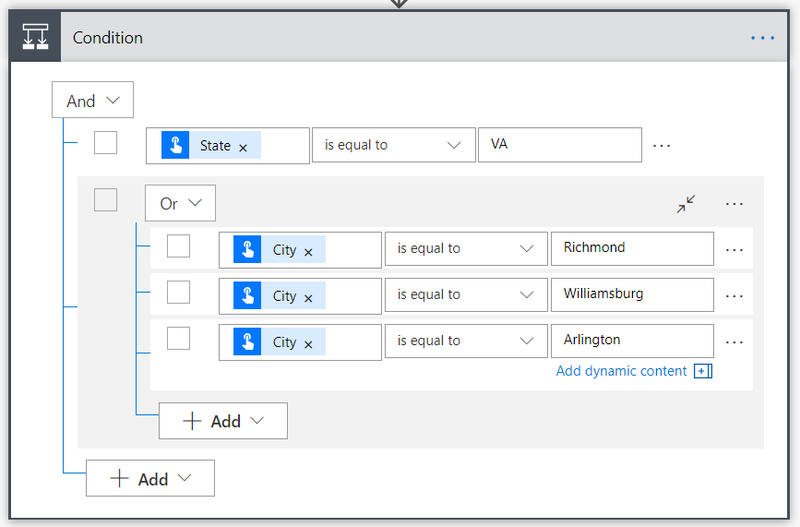 I've seen it advised by some to export the data to excel and move it to Power BI. That works great, although the context of this blog series is to have key information alert you so that there is no need for you or your team to check of your own back. With the power of Microsoft Flow, we will capture the new entries on the RSS feed and we will then send a weekly digest email. Here is a glimpse of what the email output will look like. For the ID of 43977 featured here, please see this link.